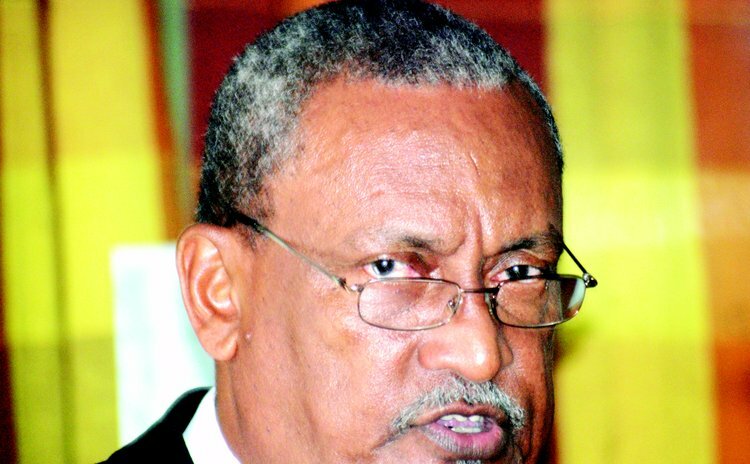 Resident judge, Justice Birnie Stephenson sentenced two young men, with long records of burglary to six years at the Stock Farm Prison for burglary of the dwelling house of Patrick Simeon at Sultan, St Joseph on Tuesday June 8, 2010. The two, Steven Wyke and Johan Charles, represented by Dawn Yearwood-Stewart and Bernadette Lambert respectively, appeared for sentencing at the Roseau High Court on Monday February 18, 2013 after having pleaded guilty to the offence during the September criminal assizes. The two were charged, along with Gershon Baron, who was being represented by Darius Jones, with stealing electronic, communications and electrical equipment, footwear, jewellery, toolkits, knife, bullet proof vest and hand cuffs totaling $18,245. Most of the stolen items were recovered. Baron pleaded not guilty, and will have to stand trial during the January 2013 assizes. According to evidence presented in the case, Simeon went to work one morning in June 2010. He returned to find the kitchen door broken and the kitchen and other rooms ransacked as well. The St Joseph police were called in and the three men were subsequently arrested and charged. Lawyers Lambert and Stewart had put in pleas in mitigation on behalf of the convicted men last year before Justice Stephenson decided to postpone the process to obtain a pre-sentence report with the assistance of the Welfare Division and a psychiatric evaluation on Charles. In her plea Lambert reiterated the theme of abandonment, neglect and abuse which ran throughout the report on Steven Wyke. The report stated that he had no relationship with his mother, who had four other children; she abandoned him when he was very young. He only got to know his mother when he was 12 years old. His father assumed responsibility for raising him, but he was abused from a very early age. He ran away on several occasions because of the abuse, and subsequently got into petty crime to survive, Lambert told the court. She added that Wyke's life had changed significantly in prison; he was active and helpful, and had learnt skills such as woodwork, plumbing and construction. She showed the court a jewelry box Wyke built in prison. During the trial, the court learnt that Wyke also had another burglary matter pending in the Magistrate Court, having burgled the home of a Customs worker in the Roseau Valley. Lambert asked the court to consider that matter and urged the judge to temper justice with mercy. Meanwhile, Stewart did not have much to add to her preceding plea, but noted that the psychiatric report did not address the issue of changed attitude; there were no signs of neurological or psychological problems. Charles, on the other hand, was well-cared for by both parents, and that care continued after both parents formed separate families. He was also educated but there was the suggestion of a vehicular accident which occurred while he was in his teens, and that incident had had a negative impact on his life. Attorney Yearwood-Stewart also asked the judge to temper mercy with justice. Justice Stephenson noted that the men were no strangers to the court having had several similar offences. She said it was her task to hand down a sentence that would fit the crime and that burglary is a serious offence. The court must send out a serious message that it would not tolerate that sort of activity, she said. The appropriate sentence of the court is six years, she added; Wyke's term would begin from November 19, 2012 and Charles' from February 10, 2013.